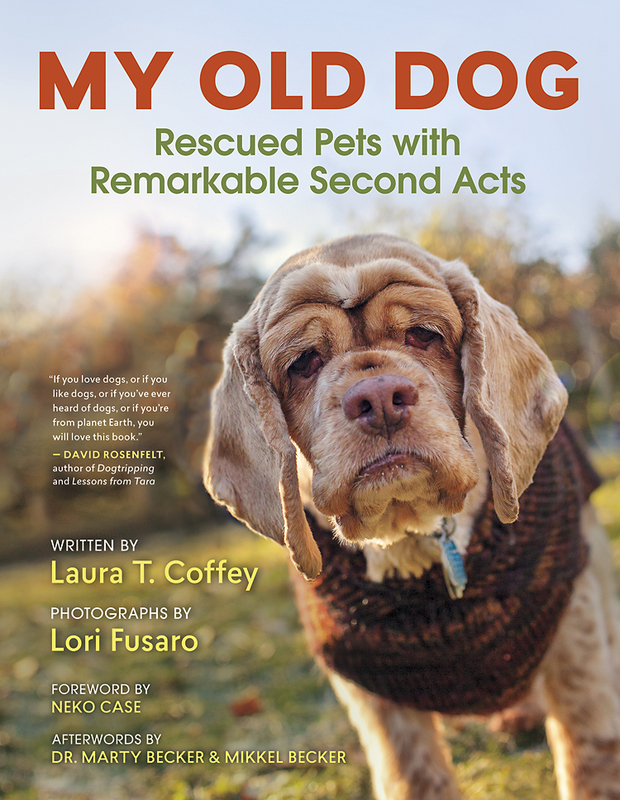 “My Old Dog: Rescued Pets with Remarkable Second Acts,” by Laura T. Coffey; photographs by Lori Fusaro. New World Library. $24.95. Beautifully written and photographed, this inspiring gem is about rescue and rebirth—the latter for the dog as well as its new owner. Upon finishing it I wanted to go out and adopt one of these needy, special seniors at a local rescue or animal-control shelter. The Puget Sound area receives plenty of attention with chapters on Old Dog Haven in Arlington and Jeannie and Bruce Nordstrom’s incredible commitment to saving elderly canines, focusing here on Casey, 9, a Leonberger, Landseer and Estrella Mountain Dog. There is much to savor in the 19 character portrayals of special people and special dogs all passionately wrapped around the theme of psychological gymnastics and sobering physical demands. But as the Nike commercial says: “Just Do It!” when it comes to adopting an old dog. The rewards are many, as each of these vignettes showcase. Not only are these subjects onetime castoffs but they represent the highest risk population at shelters. In other words, they are prime euthanasia candidates at many high-volume agencies. Each chapter is headed with a stirring appropriate quote for the case at hand. A chapter entitled Stacie, 10, focuses on Judith and Lee Piper’s Old Dog Haven, the largest senior-dog rescue of its kind in the U.S., which lists 140 volunteer households. Most dogs stay for about a year but some are there for six to seven years. They have helped nearly 4,000 senior dogs since they opened in 2004. The chapter (Casey, 9) on Jeannie and Bruce Nordstrom’s Casey rightfully focuses on this special couple who have helped save first-hand or through donations to a rescue agency countless animals, ranging from cats to cows. Some of these onetime waifs reside in the pair’s 15th-floor Seattle condo and others are at their Hood Canal property, where they are overlooked by resident caretakers. Other equally compelling chapters feature a search dog (the last known surviving 9/11 worker from Ground Zero); a law-enforcement German shepherd freed from a doggy jail; an ex-military dog that eases his former handler’s burdens at home; a retired service dog that finds a new career in therapy work; rescued from neglect, a 14-year-old blind dog that learns how to love. And the list goes on. This densely-packed narrative is a heady mixture of soul and resourcefulness. And a reminder throughout, don’t give up, don’t ever give up.